Archive for the ‘Featured Projects’ Category. 2018 Wondermark Calendars — shipping now! 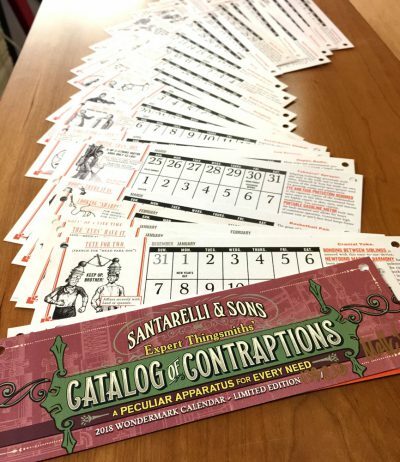 Pleased to announce that this week we’re finishing shipping all outstanding orders for the 2018 Wondermark Calendars! Thanks to everyone who’s snagged a copy; if you don’t have yours in hand yet, you will have it very soon. 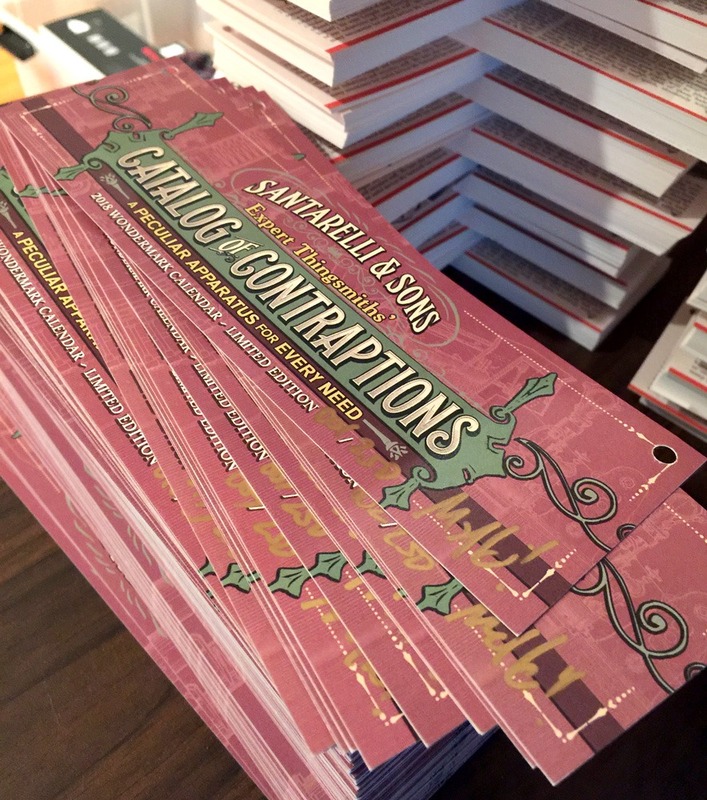 And because I launched it later than usual this year, we still have some copies available! 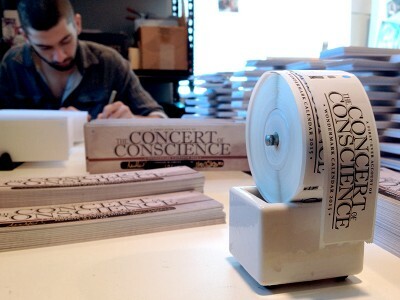 The last few dozen of the limited run. If you haven’t already claimed one, you can place an order right now and we’ll ship it without delay! 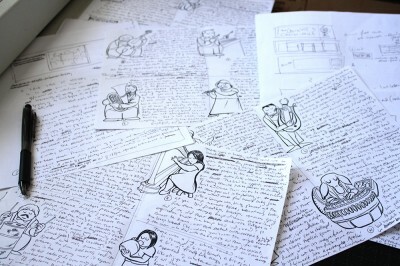 There are a lot of pages and they all have delightful illustrations on them! This year, the calendar is the Santarelli & Sons Expert Thingsmiths’ Catalog of Contraptions, filled with strange devices and impractical contrivances to solve your everyday problems. 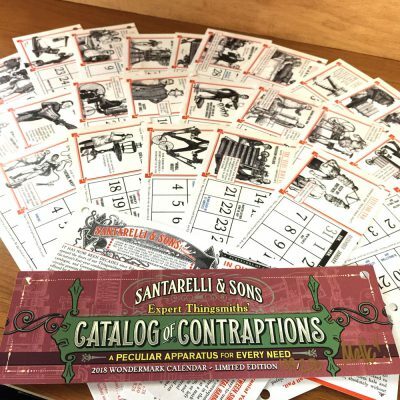 Let Edouardo Santarelli and his competent sons Drachma and Leopolt show you their peculiar wares, all year long. How right you are! That is why I am willing to credit you the value of ONE FULL 2018 WEEK with your purchase of a 2018 calendar. Simply use discount code ITSJANUARY at checkout, and you will be given a discount of 1/52 off the price of the calendar. 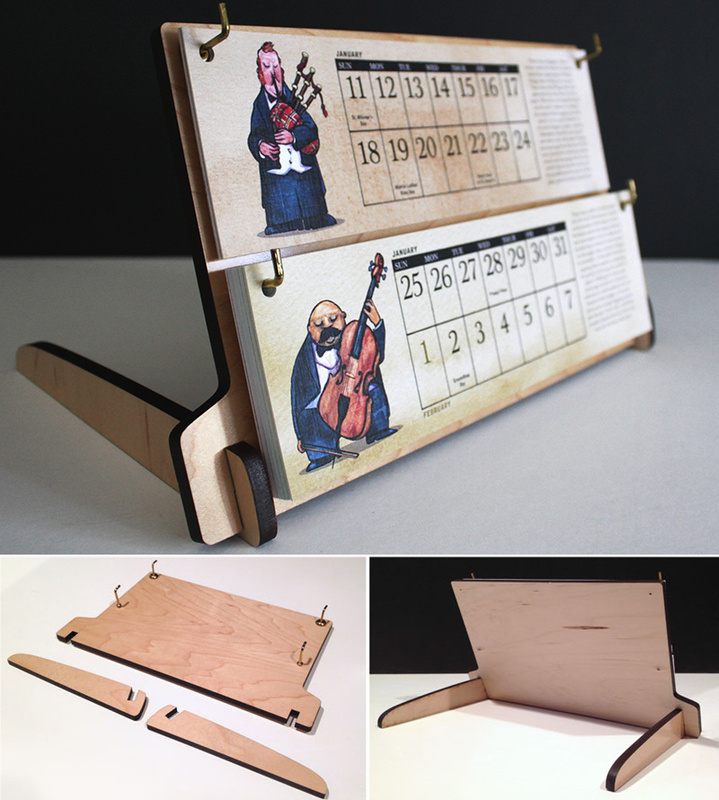 Any calendar stand you have from any previous Wondermark calendar will also work with this year’s cards! You only need the refill cards. BUT, as you can see in the pictures, we have a new stand design this year! 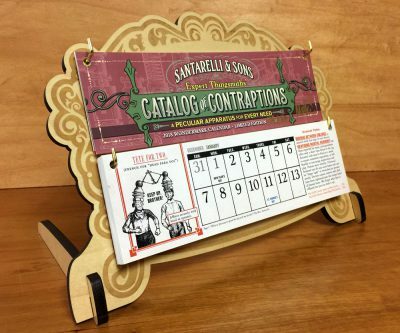 You can get one of them if you choose; we have modified the base design this year to better match the theme of the 2018 calendar. An optional upgrade if you like! 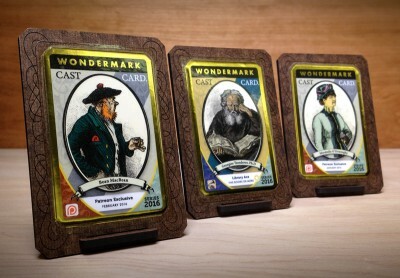 And of course every order ships with a unique Wondermark Cast Card! 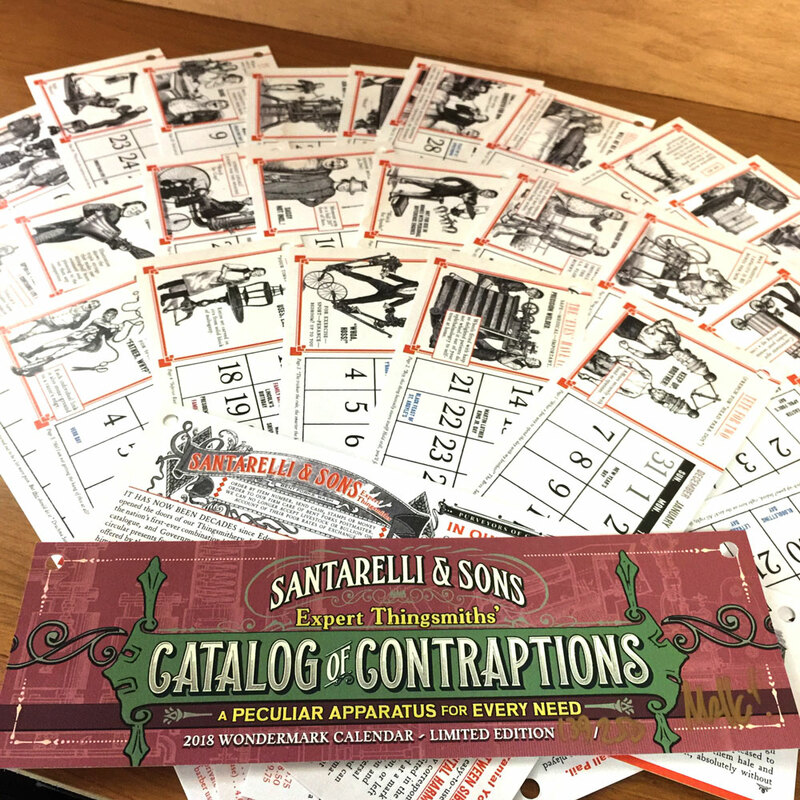 This one features Mr Santarelli himself – and if you are a calendar patron of 5 years or more, simply mention so at checkout and we’ll include a special Calendar Ace card as well. That is all! I just wanted to share these nice pictures with you. Again, thanks very much if you’ve already ordered yours and there’s still a little bit of time if you haven’t! I’ll probably shut up about this in a week or so. Tags: blog: stuff I made | Comments Off on 2018 Wondermark Calendars — shipping now! 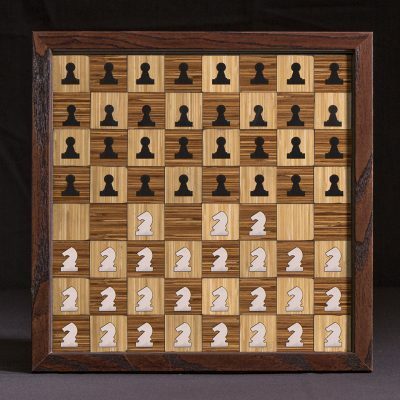 Here’s a little update on our Chessboard Wall Buddies! (Just one of the eight different designs available in our Kickstarter project.) Update: The campaign is over! Thanks everyone! So, if you want to commemorate a famous or personally significant game, or would like to construct a mate puzzle, or just want to make some weird arrangement, we can now make that for you! Otherwise, if one orders the Chess Buddy without specifying, we’ll send the 1.e4 position pictured at top. To specify a custom position, pledge for any tier and add $10.02 to whatever your pledge amount would otherwise be. The ten dollars covers the extra work for customization and the .02 is a way to help us tell at a glance which orders should be the custom ones. We will send an email asking about the custom instructions before we ship the order! Any legal or illegal position or combination of pieces is possible. 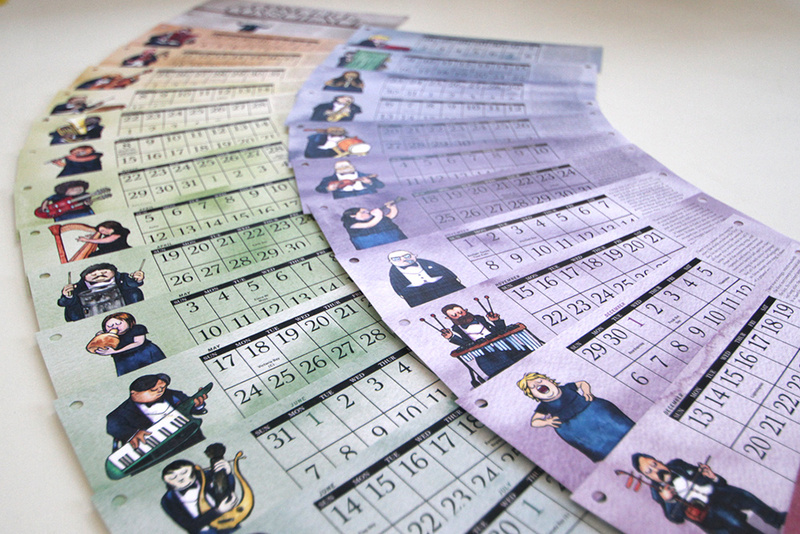 $10.02 added to any base pledge amount lets us know you’d like a custom layout! 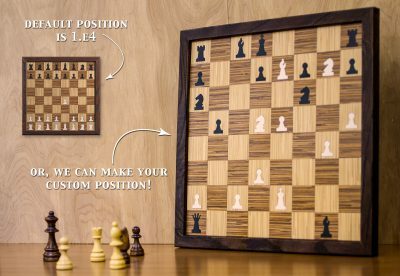 (And for more than one custom chessboard, add the extra $10.02 for each, natch). Comments Off on Wall Buddies Chessboard Upgrades! Announcing the monthly Cast Card Subscription! I’ve made some new Wondermark Cast Cards! 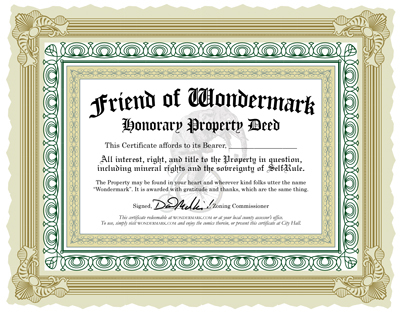 These little commemorative plaques are neat mementos of events or moments in Wondermark history. 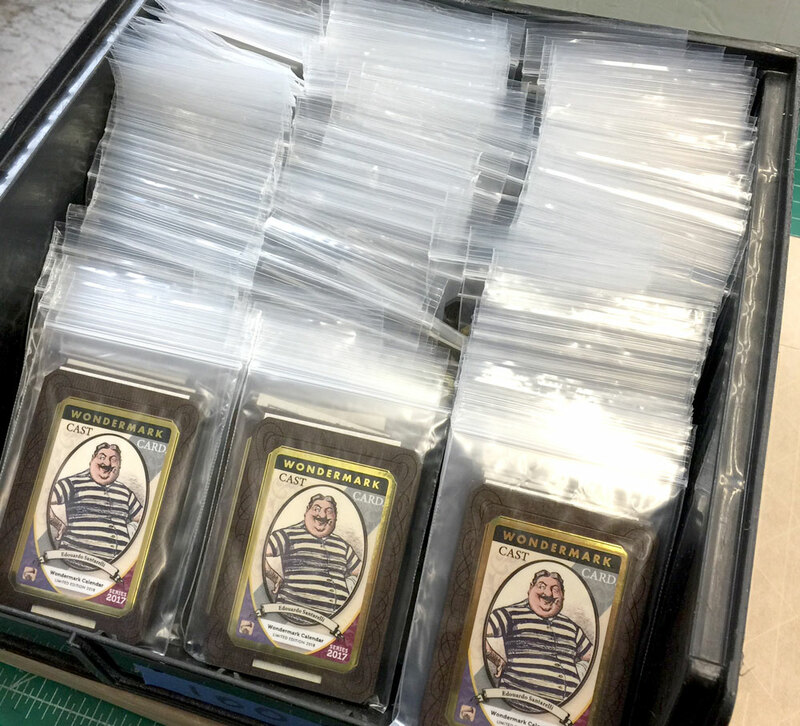 Folks who’ve gotten the 2016 Wondermark Calendar, or were a part of the Multi-Purpose Cards Kickstarter, have already begun seeding their collection of Wondermark Cast Cards. And..so have a handful of my top Patreon supporters! I decided I would make a brand new one, and send it to my top supporters for the month of January. A little surprise thank-you, for the folks who’ve contributed over $20 so far. 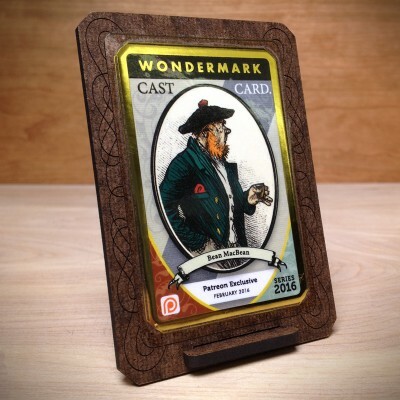 Today, I’m pleased to announce that I’ll be making the Cast Card rewards a monthly tradition — a new way to reward folks who want to support Wondermark and the other things I do. 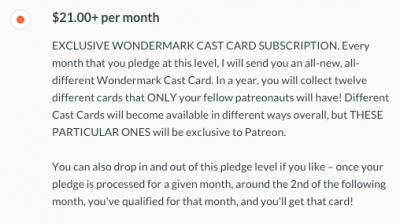 I’ve added a new tier on Patreon that is the monthly Cast Card subscription. If you’re not familiar with Patreon, it’s like tossing some change in the tip jar when you get a coffee. Lots of people giving 25¢ or $1 or $2 each month can add up to make a real difference in the life of an artist. 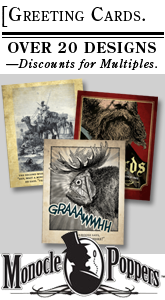 It’ll allow me to make more fun stuff, like these cards for instance! Which I think are pretty fun. So, if you’d like to toss in a few cents or a buck, by all means, please do! I’m grateful beyond words. Every single month, I will send my patreonauts at this tier level a brand new monthly Cast Card, which will be exclusive to Patreon. To make it fair, I’ll make the official count at the end of each month (when the pledges for that month are processed). So, the time is NOW to jump on board for the inaugural February offering! Here’s this February’s card — good ol’ Bean MacBean, from Wondermark episode #1125, the “bean juice” comic! All his vital stats are on the back, of course. Moving forward, there will be other ways to get other Cast Cards, too. Most will be included free with various projects, or awarded for various things…In fact, soon I’ll talk about how you may already be a Library Ace. 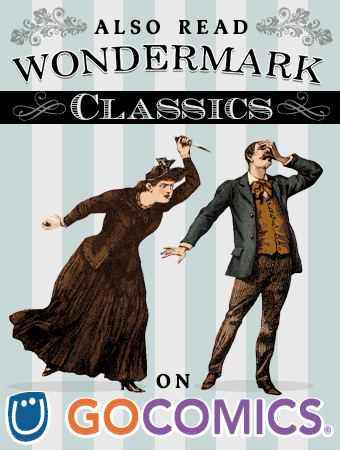 I’ll say only this for now: get your Wondermark books off the shelf, and make sure there’s film in your camera or whatever! Until then, thanks a million for your support on Patreon, and please don’t delay if you want to claim a copy of the February card! 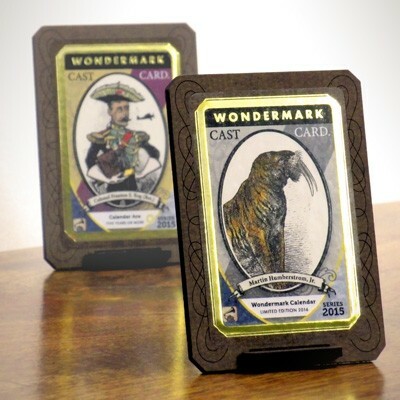 Wondermark Monthly Cast Card Subscription : Sign up now to get February’s card! Tags: blog: cast card, blog: stuff I made | Comments Off on Announcing the monthly Cast Card Subscription! 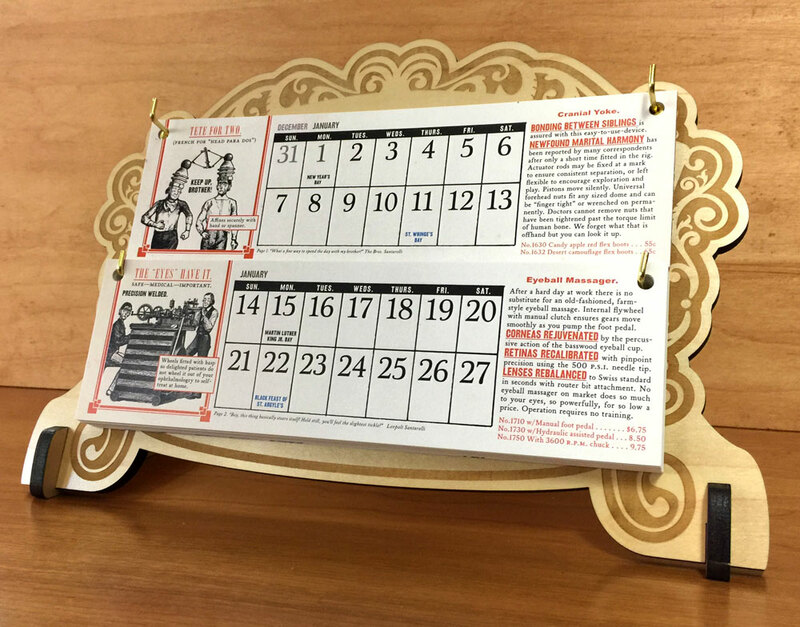 The 2016 Wondermark Calendar is now available for pre-order! UPDATE: It is now sold out! 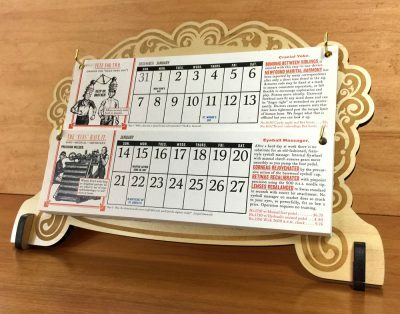 As in previous years, the calendar rides through the year on a special backboard, which you may re-use from previous editions if you already have one. 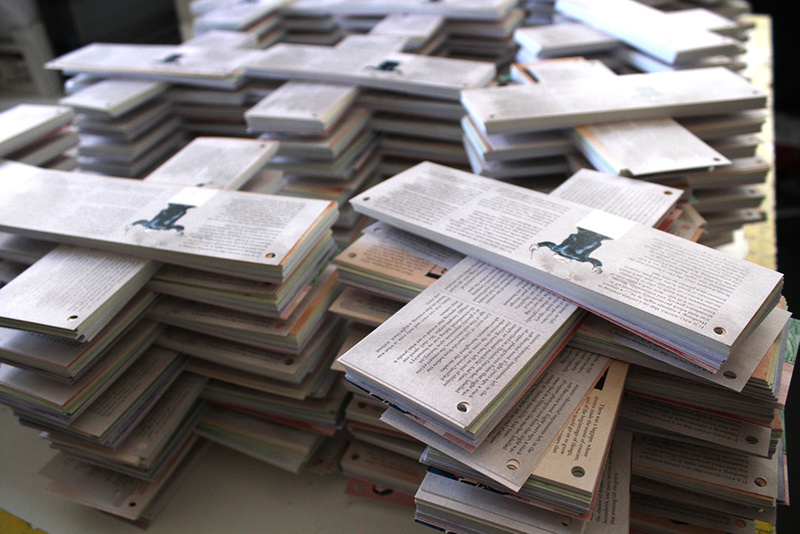 New for this year, every order will ship with a miniature commemorative plaque. This ‘Cast Card’ will feature a portrait of one of the calendar’s characters, along with a full list of their vital statistics. It’s sort of like a baseball card, except not about baseball, and made of wood. And another thing! 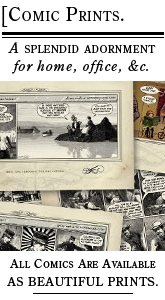 The very first Wondermark calendar was released December 2007. 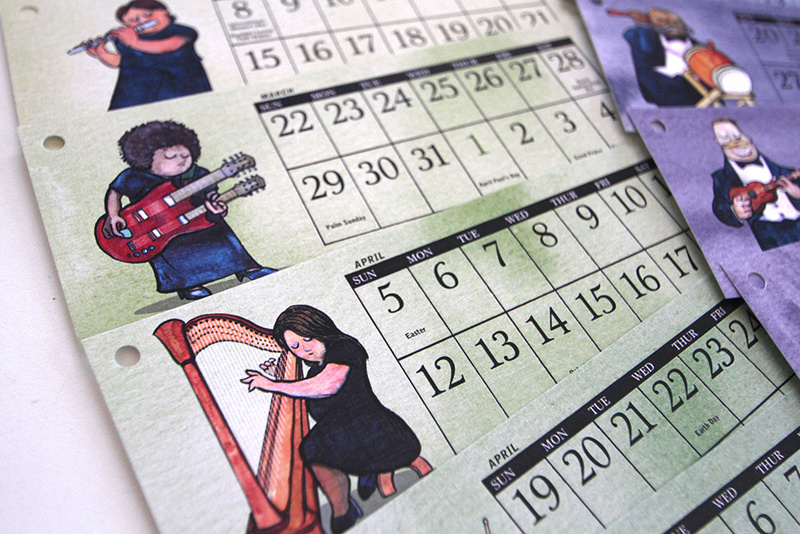 If this will be your fifth calendar (or more), we consider you a Calendar Ace! If this describes you, then you qualify for a second unique Cast Card, celebrating your achievement. It is a free gift from us, to say thank you! I’m big on commemorative plaques this season, friends.